Racheal is a writer and performer. Her TV script ‘Functionally Dysfunctional’ is under attachment to Balloon Entertainment. In September 2017 the script was chosen for a Sky Table Read. In 2017 she was selected for a TV writing bursary with Creative Skillset. 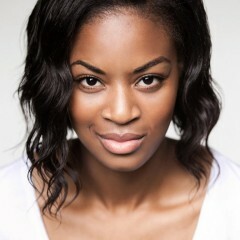 She is also part of the writing team on the second series of KISS ME FIRST. 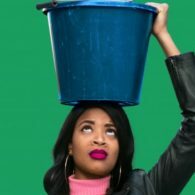 Her latest stage show was the new play SO MANY REASONS, produced by Fuel Theatre, which opened at the Camden People’s Theatre between 16th January – 3rd February, before heading off on tour. Her previous one woman show ‘Portrait’, directed by Kate Hewitt, was performed to a sell-out audience at the Edinburgh Fringe 2015 before heading off on a UK tour, finishing at the Bush Theatre as part of the Radar Festival from 16th – 18th November 2015, and then at the Southbank Centre as part of the Women Of The World Festival. In late 2017 it set out on another UK Tour, finishing at the Rich Mix in London on 11th November. Racheal has appeared on BBC’s Artsnight and has given a TED talk under the title ‘Utopia: Breaking The Rules’. She is currently writing a new play ‘Black Hair and Regeneration’ on commission to Cultural Cooperation and Isy Hawson, and developing another play with Fuel Theatre, the producers of Portrait. For any enquiries relating to Racheal’s acting work, please contact Tavistock Wood.